The first Monday of the month means a new Challenge over at Without Words. It's a Colour Challenge... Pink, Blue and Yellow, with the option of adding Something Floral. What a fab Colour Combo, but boy, I will admit I found it a bit bum clenching! So, no flowers from me, but how cool is Kimberly Jogging? (Who is not based on Squirrel running for the bus!!) We're sponsored by Make it Crafty this time, so play along with us for a chance to win a $15 Store Voucher. You'll notice I'm still on a particularly clean kick at the moment. I wanted Kimberly to be the star of the show, with just a splash of yellow from some yummy Echo Park Papers from Dies to Die For. Job done! Yep yellow is down there on the 'please avoid' list but you have rocked it! What a fab coloring of that funny Kimberley! Love her! Super duper card, love the image and fun clean design! She looks brilliant Faye. A gorgeous cas card. Gotta get those yellow spots in somewhere. Super duper colouring. Hugs Muver. I love clean and simple cards......why spend time and effort colouring it if you're then going to hide half of your hard work in bling n stuff! 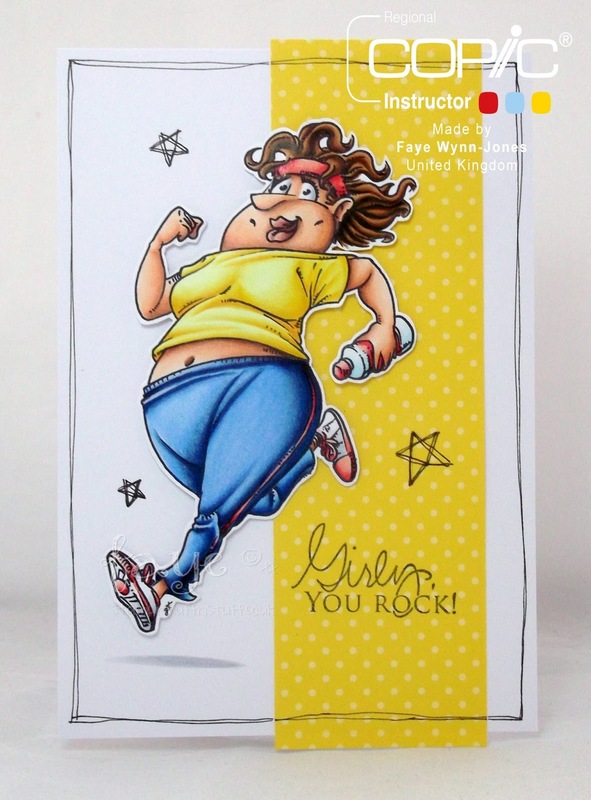 There is something seriously wrong with this card...and nope, it's not the colouring or design, both of which are awesome...it's that this lady looks far too happy...surely no-one looks this happy running?! As you can guess, I'm not a runner - lol! 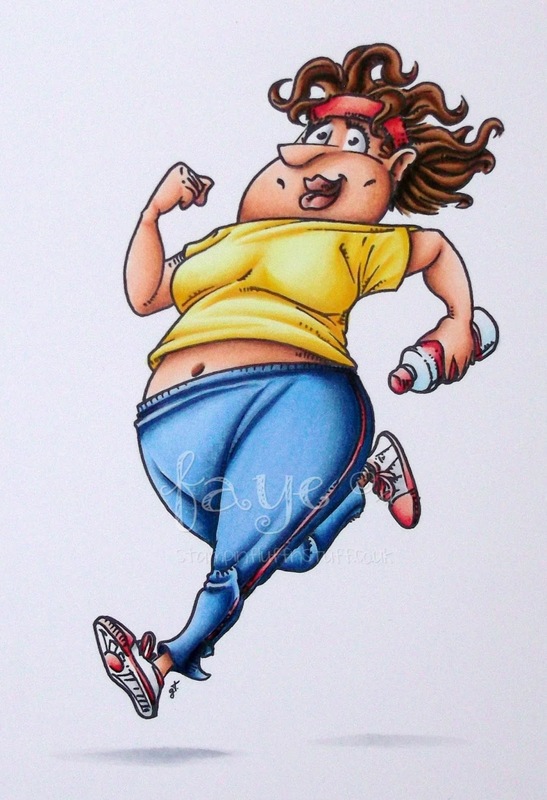 Oh she reminds me of ....me lol,the only different thing is I´m not having long hair,and I don´t smile while I´m running lol,fabulous fun cad Faye!! OK... it's yellow.... not one of my FAV colours.... but it's also FAB!! Hope you had a wonderful BH weekend. You have no idea how much this makes me chuckle... this is so me except I don't run! I really admire your colouring skills you know.